All meetings will be held in the Icenhower Cafeteria. The PTA website is sponsored and updated by the Della Icenhower PTA. Mansfield ISD is not responsible for the contents of any linked site, any link contained in a sire or any changes or updates to such sites. Research shows students do better when their families are involved at home and at school. Grades are higher, test scores rise, self-esteem grows and schools improve. Whether you volunteer or not, and/or give financially in other ways, your PTA membership is an important indicator of your commitment to the work of the PTA and support the goals of our school! Even when you don't have time to be personally involved, your membership dues and donations help fund important programs throughout the school! As a member, YOU make everything we do possible. If you haven’t yet, please follow us on Facebook and Instagram (@icenhowerPTA) and encourage other Icenhower Husky families to join the PTA and get involved. We plan to use social media to communicate the wonderful things we have planned this year! If you are interested in volunteering, below is a small list of areas we NEED your assistance. Please let us know how you would like to serve by emailing us at Dicenhowerpta@gmail.com and work on various subcommittees. We're also in the process of planning socials, spirit nights, parent night out events and preparing for the chocolate fundraiser. We need plenty of volunteers to make this year memorable for our students. Interested in joining? 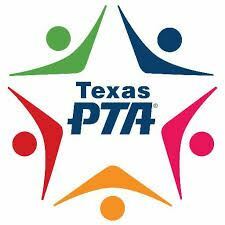 Complete the attached 2017-2018 membership form, join online by visiting www.joinpta.org or contact the membership chair .